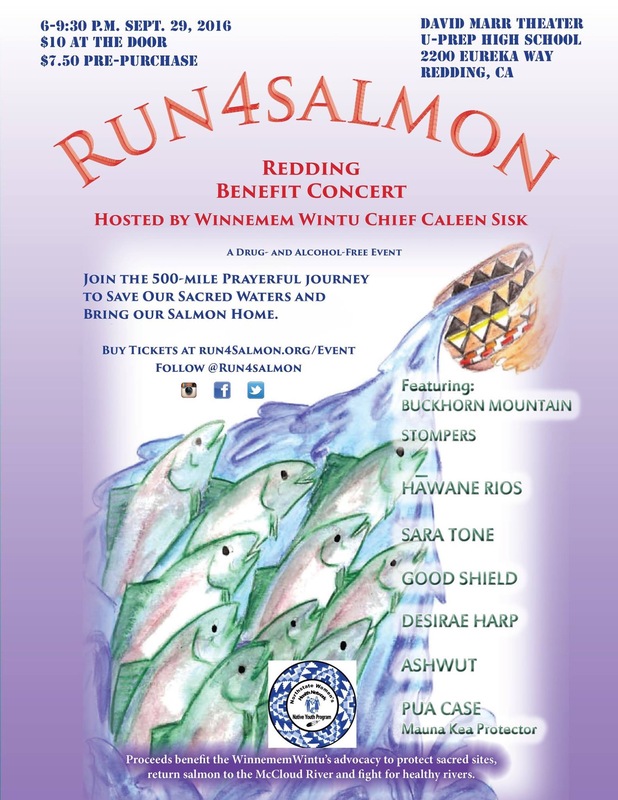 Co-sponsored by Northstate Youth and Native Cultural Groups! Danielle Brewster, Women’s Health Specialists Outreach & Education Coordinator and NSWHN board member, describing the Native Youth Program. Speaking about methods of building self-esteem and preventing teen suicide. Bev, Louis and friend at his booth showcasing his hand-made native-inspired jewelry. Dancers preparing for the Grand Entry. Linda McCrea, outreach and education worker & NSWHN board member, taking care of the WHS booth. ome images from this special day. Thanks to our performers, speakers and sponsors, as well as vendors and all the community members, and thanks to the NSWHN Native Youth Program members for putting on such an exciting program! Some images from this special day. Thanks to our performers, speakers and sponsors, as well as vendors and all the community members, and thanks to the NSWHN Native Youth Program members for putting on such an exciting program! Come to Shasta College Saturday, 4/30/16, from 12-6 to take part in the Celebrating Life! Youth Pow-Wow and Health Fair! NSWHN, in partnership with Women’s Health Specialists and the Shasta County Multicultural Board, is proud to sponsor this exciting event! All proceeds will go to fund anti-suicide programs for local Native youth. Our 3rd Annual International Women’s Day Celebration Was a Blast! Thanks to our wonderful sponsors, performers, vendors and community members for a fantastic 3rd Annual International Women’s Day Celebration! See you all next year! The event begins with a Native American invocation. Danielle Brewster, Women’s Health Specialists Outreach & Education Coordinator, and Shasta College sociology professor Heather Wylie share M.C. duties for the night. Both are board members of NSWHN. Redding Ballet Folklorico get the event off to a rousing start! Linda McCrea, outreach and education worker at WHS and NSWHN board member, with activist / gardener extraordinaire Mary Brown brightening up the event considerably! Proceeds from these silent auction treasures benefit NSWHN’s community outreach and events. Women’s Health Specialists has been a wonderful resource for women in our community for more than three decades. Now the younger generation is taking over! These amazing women fill purses with basic necessities and give them to homeless women. Let’s take some inspiration from them and follow their lead! Self-help display from Women’s Health Specialists. Abortion rights pioneer Pat Maginnis and the Army of Three with music professor Maestra Ellen Southard and her pom Quirky enjoying some sisterhood and snickerdoodles. Shasta County Ballet Folklorico’s exciting performance is a big hit. LadyKat (Linda McCrea) and Mary Brown’s crafty treasures are popular items at the silent auction. Come to Our 3rd Annual International Women’s Day Celebration! Come join the Northstate Women’s Health Network on Saturday, March 5, 2016, for our third annual International Women’s Day Celebration. The theme for this year’s global event is Pledge for Parity. Worldwide, women are making gains in the social, economic, cultural and political spheres—we have more exciting work on behalf of women ahead, and much to celebrate today. In our celebration, we’ll enjoy an afternoon of free music, art, dance, and education. We’re showcasing booths, services and products from local woman-based organizations, women entrepreneurs and their businesses, as well as good old family fun. By celebrating our commonality, we encourage effective action to advance women’s interests both locally and globally. Hope to see you there! Performances by women musicians, artists and dancers, including dance workshops! Free hors d’oeuvres, beverages and other treats donated by local restaurants and wineries. Showcase for booths by local woman-owned and focused entrepreneurs, businesses, services and organizations. Silent auction of items donated by local businesses. Performers, businesses, entrepreneurs and organizations, get involved! For information on participating in or sponsoring this exciting event, contact Linda McCrea at 530-945-2158 or email northstatewomenshealthnetwork@gmail.com. It’s Community Night! In partnership with Women’s Health Specialists, Northstate Women’s Health Network supports the Native Youth Program. With the California Rural Indian Health Board, NSWHN is facilitating the local HOOP (Healing Our Own People) program for Native youth in our community. More materials for the HOOP/Native Youth program focusing on mental health and suicide prevention in the North State. NSWHN introduces our new Native Youth Program! Our Celebration of Choice / Cartoons for Choice poster exhibition on 1/19/16 was a wonderful example of sisterhood in action! In concert with Women’s Health Specialists, NSWHN was proud to host this exciting event commemorating the 43rd Anniversary of Roe v. Wade with our special guest, 87-year-old abortion rights pioneer Pat Maginnis. Pat shared her inspiration and signed exhibition catalogs for the enthusiastic crowd, a range of younger and elder activists. Then, the staff and volunteers of Women’s Health Specialists, on the front lines of the reproductive rights movement, were invited onstage for recognition. Next, Shasta College sociology professor and NSWHN board member Dr. Heather Wylie shared her views about the vital importance of the self-determination women have gained from Roe v Wade. A contingent of reproductive rights activists from Siskiyou County drove all the way down the mountain to share stories of their volunteer group’s challenges and victories in their small rural community. After we all enjoyed refreshments from a local bakery and the Vintage Restaurant kitchen, the bidding began on the silent auction, an eclectic array of jewelry, artwork and curios donated by local artisans and supporters to raise funds for further NSWHN events. Altogether, this wonderful experience reminded us yet again of the power of women gathering with women and our male allies to share memories, celebrate our hard-won victories and plan for the future activities and advances. Sisterhood IS powerful! Thanks so much to the Janis and the Vintage Wine Bar and Restaurant for hosting this event for the fourth year in a row, and to all the volunteers and NSWHN board members who made the evening possible. We look forward to more work and solidarity in the next 12 months supporting our reproductive rights — and another inspiring celebration next year! The first page of the poster exhibition catalog, with a brief bio of Pat Maginnis and her group, The Army of Three. Women’s Health Specialists outreach & education coordinator Danielle Brewster and Associate Executive Director Katrina Cantrell, board members of Northstate Women’s Health Network. Dr. Heather Wiley speaks about the impact and importance of reproductive self-determination on all aspects of women’s lives. Women’s Health Specialists outreach and education coordinator Danielle Brewster (far right) and clinic staff. Pat Maginnis describes the motivating event that inspired her 50+ years of activism for abortion rights. Three generations of reproductive rights activists! Pat Maginnis with local civil rights luminary Pat Sansom and Katrina Cantrell. Pat Maginnis with young adult author and feminist Tess Sharpe. Shasta College music professor Ellen Southard enjoys a photo op with Pat. Come to our Celebration of Choice! Tuesday January 19, 2016, is the 43rd Anniversary of the Supreme Court’s historic Roe v. Wade decision that secured full reproductive rights for women in the U.S. Tomorrow evening, come celebrate with Northstate Women’s Health Network and Women’s Health Specialists at the Vintage Wine Bar & Restaurant for refreshments, speakers, a silent auction, sisterhood — and CARTOONS FOR CHOICE, an exhibition of posters by our very special guest, 87-year-old abortion rights activist Pat Maginnis. Pat’s groundbreaking work with two other women, known as “The Army of Three” — created ARAL — the Association for the Repeal of Abortion Laws (which morphed into today’s NARAL) — and helped to expedite and reinforce the passage of Roe v. Wade. Pat will be with us tomorrow for a meet and greet, so don’t miss this historic occasion!